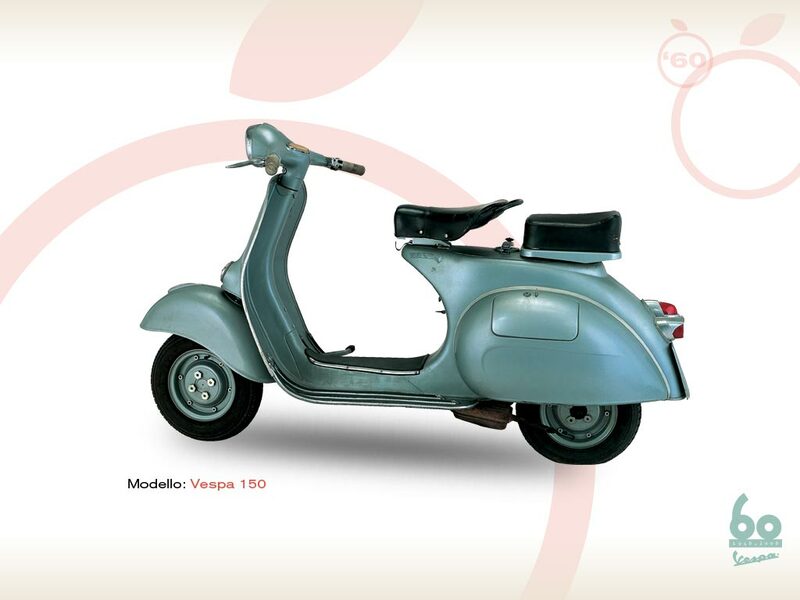 This is the evolution of the Vespa 150 (VBA) presented in 1958, with very few changes. The colour is similar to the previous one (metal sky blue). 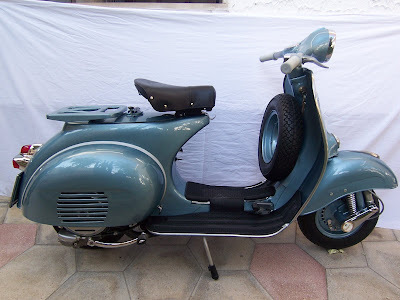 The side sacks are enriched by two aluminium decorations, and the rear light is larger and completely chromium-plated. 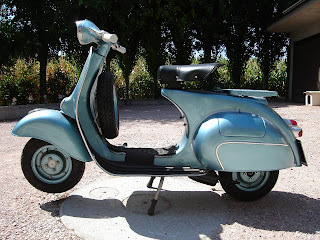 This model enjoyed great success, thanks to its elegance and functional qualities ever since its first apparition at the Olympic games in 1960.